In any case, my board used to be jam-packed, with both rows filled. I used to have two overdrives and a distortion pedal on the bottom, and the booster would be the last pedal on the left. But I’ve been paring down what I use to the absolute minimum. No, it’s not because I don’t want to lug more gear. It’s just that I realize that whatever I play now, I just sound like… well… me. So my pedal rig just contains pedals I want to use to enhance my basic tone. In the past, I’ve used pedals to help create my tone. But the better I got, the more I didn’t rely on pedals. For me, the pedals I’ve installed above are simply must-haves. As far as the modulation pedals are concerned, while I probably don’t absolutely _need_ the chorus, I like to have it, especially when I play clean. It just adds a bit of tonal grease. Delay and reverb are two others I can’t live without. I love the slap-back effect of my Deep Blue Delay, and the reverb, which is always on, adds a little more tonal grease. 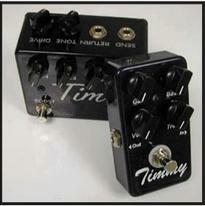 I may add my Timmy overdrive just so I have a bit of variety and to create a transparent overdrive sound. But I have to tell you: That Soul Food is sonic candy. I love that pedal! It gives me such creamy smooth overdrive that intermingles so well with the natural overdrive of my amp that I feel I can take my time adding another pedal. With respect to my wah pedal. It has been a mainstay on my board, but it wasn’t until recently that I REALLY started using it. With my old church gig, I just didn’t have the occasion to use it much. But with my new rock band, hell! I just use it whenever I feel like it. 🙂 We do covers, but they’re not strict covers, so I use my artistic license to its full extent. What got me on this track was the article I wrote yesterday about the Green Child G777 Overdrive. That pedal for me has a lot of promise as it’s a two-channel, stackable overdrive with its own unique voicing. It’s something I’d have to try out, but I like what I’ve seen thus far. This particular pedal got me curious about Green Child’s other offerings, and much to my pleasant surprise, even though Green Child Amplification might seem like an amp company that happens to make drive pedals, their particular specialty is drive pedals. No, this isn’t a plug for Green Child. I’ve never played any of their pedals, though I do find them extremely intriguing because their specialty seems to be creating multi-drive overdrives; that is, two or three overdrive pedals in one. Pretty cool. I know I lingered a bit on Green Child, but this is what turns me on about overdrive pedals in general: It may seem that there are way too many overdrive pedals on the market, but to me, with all the different overdrives out there, I practically have a never-ending list of overdrive pedals from which to choose! Sure there are lots of clones out there. But there are so many others that may build on a particular foundation, then tweak them to provide their own unique tone. Others, like the EHX Soul Food, unabashedly copy another overdrive’s circuitry – in this case, a Klon Centaur – but get you at least a similar tone and dynamics for a fraction of the price. 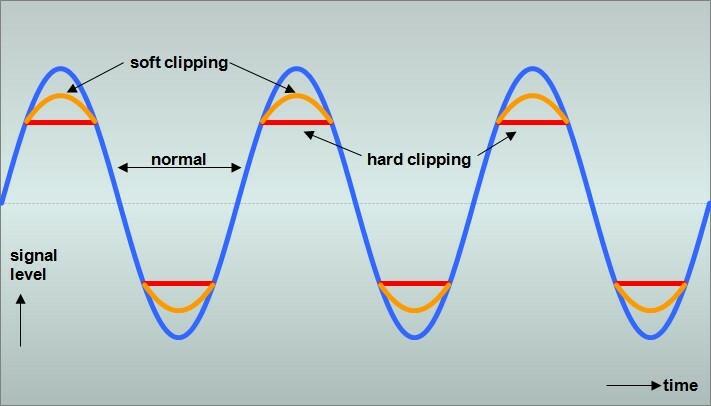 I once questioned here on this blog if there are just too many overdrive pedals on the market. But considering what I’ve found with Green Child and even the EHX Soul Food, all I can say is, “Keep ’em comin’! Maxon RTO700 Real Tube Overdrive: Insane Tube Tone in a Pedal! I’ve known about this pedal ever since it came out last year, and unlike many other overdrives out there, it uses a tube for distortion, and not a clipping diode. This pedal is like putting another gain stage in front of your amp. It comes with Master and Gain and the tone controls are all independent with no overlapping frequencies, so tone shaping is pretty incredible. And being that it’s a Maxon pedal, you’re pretty much guaranteed high-reliability and fantastic build quality. Okay, okay, I know that we’re kind of talking apples and oranges, but the point is that $385 is a rather steep price to pay. Based upon the clips I’ve heard and videos I’ve watched on this pedal, there’s no doubt in my mind that it’s killer. I guess for me, though it does sound incredible, it doesn’t move me enough to fork out that kind of cash. Not that I wouldn’t pay a steep price for a pedal if it totally moved me. I paid $275 for my Mad Professor Deep Blue Delay. It hurt a bit, but it’s a pedal that I simply can’t live without now. In closing, having owned Maxon products in the past, I know how killer they are. Maxon isn’t a cheap proposition, but if you can swing it, you’ll be happy. For more information on the pedal, check out the RTO700 product page! Mind you, this was staged… but how many times have you heard some of this? Roger Mayer TC Series: The New Look of Guitar Pedals? Though I’m pretty satisfied with my current rig – actually, I’m pretty settled now as far as pedals are concerned – that doesn’t mean that I don’t look to see what’s out there. 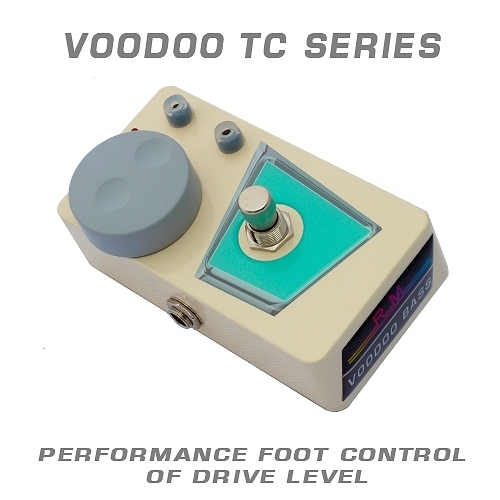 While surfing this morning before going off to work, I came across the new Voodoo TC line of pedals from Roger Mayer. These pedals feature huge knobs for changing the main pedal parameters, and they’re meant to be changed with your foot! What a cool concept! No more bending over to change the drive on a drive pedal or the intensity or pulse of a vibe. Not only that, the Voodoo TC line has this retro, art-deco look, and sporting colors that were apparently inspired by 1950’s Chevy’s! There are nine pedals in the line thus far, and from what I can tell from the descriptions, they’re heavily inspired by Jimi Hendrix tones, with a few drive pedals, a vibe, and an octavia. But there is one specifically geared towards bass distortion. For more information, check out the Roger Mayer TC Series page. There are a couple of videos on the page from the Japan Music Fair, with one of the videos being an interview with Roger Mayer, explaining the motivation behind the pedals.